Perhaps you've heard of Mason's Brewing Company. They're a small Maine brewery that produces around 2,500 barrels a year. If you keep up with the beer news, you likely know they're currently a target of Anheuser-Busch and its ill-tempered offspring, 10 Barrel. 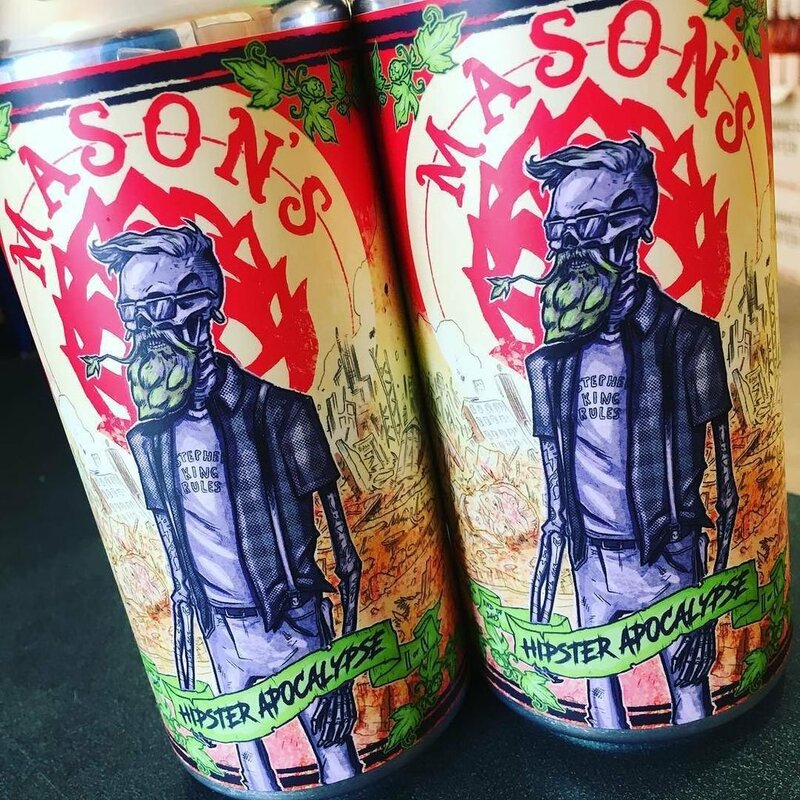 Mason's recently received a letter demanding they stop using the name, "Hipster Apocalypse" on their flagship IPA. 10 Barrel claims Mason's would be "capitalizing on the goodwill created by Apocalypse IPA," which has been brewed since 2009. Owner Chris Morley was in the process of filing for a trademark on Hipster Apocalypse when 10 Barrel cried wolf. He says he plans to challenge the demand and is willing to spend a boatload of money if that's what it takes. Sad to say, that's likely exactly what will be required. Because Morley isn't fighting 10 Barrel. That company ceased to exist when it was consumed by Anheuser-Busch in 2014. Today, 10 Barrel exists only as a captive brand of a behemoth that doesn't mind throwing its weight around the beer industry. Morley rightfully notes that this is another great example of a thuggish corporation pushing a little guy around. For sure. A quick Untapped search revealed that “Apocalypse” isn’t an uncommon name in the beer world. Morley evidently pulled up more than 10 other beers across the country with “Apocalypse” in the name. Go figure. The thing is, squabbles over beer names are becoming pretty common in this industry. It's a symptom of the fact that the brewery count keeps rising and creative beer names keep bumping into one another. Larger breweries typically send out cease and desist letters when they feel the need to bully smaller breweries that don't have the cash to lawyer up. In this case, the suits at Anheuser-Busch hope to bully Mason's into using another name for their IPA. Mason's has only a small distribution footprint in Maine and Massachusetts, according to industry reports, but AB plans to dominate that area (and more) with Apocalypse IPA and prefers not to endure competition from any brand of a similar name. Seriously, though, if anyone is going to be damaged here, it's Mason's. Because Hipster Apocalypse is produced in relatively small batches in a small brewery. And the packaging features cool, vibrant branding. Meanwhile, 10 Barrel Apocalypse IPA is produced in giant factory breweries and has bland, generic branding. I don't know how much money Morley is willing to spend to defend Hipster Apocalypse. It probably won't be enough because Anheuser-Busch can spend whatever it wants and drag the case out forever if it goes to court. That's when the financial risk becomes too great for a small operation. The sad thing is, bullies win too often in business. But maybe not this time. It would be great to see the underdog finally win one. Bullies will continue to be bullies until their BS is called. I just hope that Mason's won't perish in the fight. Thanks for the eloquent post!